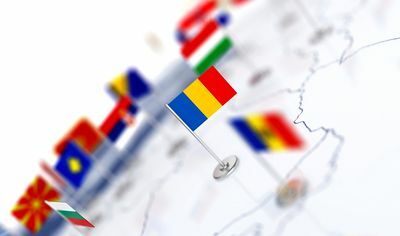 Could the ROBOR, construction costs and exchange rates block the Romanian residential market? Between 2009 and 2018, about 80 percent of the mortgages granted in Romania were through the Prima Casa program, which, at least at a psychological level, is the most attractive financing system for housing, allowing the highest degree of indebtedness in the credit market mortgage. The news for the following year may not be as good for those interested in this program, which could be winding down as a result of analyses and warnings from the International Monetary Fund. In 2019, the allocated funds for Prima Casa will be 25 percent lower. The ROBOR increase, at least for the 3-month index, will not exceed 3.5 percent, according to RE/MAX consultants. In 2018, ROBOR at three months dropped to 3.18 percent versus 3.21 percent, while it dropped to 3.38 percent from 3.40 percent at six months. As they are quite volatile, the ROBOR value as well as the exchange rates will make mortgages more expensive. And besides mortgages, prices in RON will also be seriously higher. 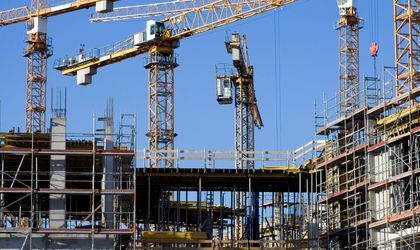 All these elements plus the growing construction prices affected by the higher salaries in the sectors will determine a drop in demand, and sales are expected to decrease as a result. In 2018, there was a downward trend in housing prices. This is also attested by the fact that the annual growth rate of prices (T3 2018 versus T3 2017) is currently at 5.6 percent – in the similar period of 2017, the same indicator was closer to the 10 percent threshold. Analysts estimate that in 2019 housing prices will stagnate or at most record a slight increase, and by 2022, in major cities, prices will reach higher values ​​in areas with the greatest potential for economic development. ”Generally, 2018 led to a slight appreciation of housing prices and a total number of transactions smaller than 2017, at least up to this point. Increasing indebtedness, increasing ROBOR, an unstable political and economic environment, and rumors about a future housing crisis have influenced the perception of buyers and small investors who have in many cases postponed their purchase decision or initiative to start new projects. That made the number of days spent on the market increase in the second half of the year, while the number of transactions decreased. We are still an attractive market for investors, a market in full economic development, offering interesting returns, and for 2019 I expect a re-establishment, a stabilization of the market, with possible price corrections or slight bottlenecks on those market segments that include buildings that are currently overvalued or lacking interesting market characteristics that make them viable for consumers, but no crisis in the real estate market,” Madalina Vasile, owner of RE/MAX Properties stated. The increased density of urban areas has generated – and continues to generate – a higher demand on the real estate market for the big cities in Europe. The phenomenon is also visible in Romania where, between January and September 2018, most homes were sold in Bucharest (59,851), Ilfov (30,621), Timis (26,088), Cluj (24,854), Brasov (20,180). The biggest concern of major players on the European real estate market (investors and brokers/owners of real estate agencies) is related to the latent risk of inconsistency of the pressure/need to invest and fear that prices will increase exponentially. Still, Romanians are among the luckiest Europeans. Expenditure on their homes is one of the smallest in the EU – around 71 percent below EU average. The only countries where people pay less are Bulgaria (69 percent below the EU average) and Poland (63 percent below the EU average), according to the Eurostat statistical office.